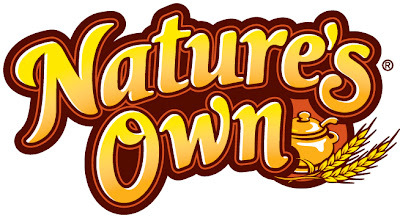 @Natures_Own Oatmeal Toasters up for Grabs! Ah bread, I could live on bread alone. Well, bread and wine... And, now I would like to introduce you to a great new alternative to plain old toast or bagels - Nature's Own Toasters! They are like a thin, square bagel but better because they are made with hearty whole grains then packed with real oats and sweet fruits. Nature's Own Toasters come in two ah-maz-ing flavors: Cranberry Orange Oatmeal Toasters and Cinnamon Raisin Oatmeal Toasters. My family and I received a package of both to try and to be honest I am devastated that they are not in my local grocery store, yet. However, Nature's Own does have a small selection on Amazon , not the toasters but there is hope! I have been indulging on a square every morning for the last week and a half. They are so yummy right out of the toaster, slathered lightly with butter. I have also made french toast for the kids with a couple squares and had to try them with peanut butter. My second grader eats peanut butter sandwiches every. single. day. When he wants to switch it up he asks for jam. So, for the first day of school I had a special treat for him - a Cinnamon Raisin Oatmeal Toaster and peanut butter sandwich. He loved it but, he is a light eater so he could only eat half of the sandwich because it is so hearty if he wanted to have the rest of his lunch. After making his lunch, I could not resist making one for myself and adding bananas to it and it was so wonderful! My mouth was very happy and pretty certain my taste-buds cried after the last bite. Did I mention I like bread? Besides, tasting good, the bread is not loaded down with trans or saturated fat. There is no high fructose corn syrup, 20 grams of whole grains and 4 grams of fiber! A very yummy alternative for breakfast! I received one package of each flavor to try for this review. I did not receive any other compensation and my options, as always, are 100% my own.